presidential inauguration slated for Tuesday, November 28,2017. This was contained in a press statement made available to journalists on Monday by the Senior Special Assistant to the Vice-President on media and publicity, Mr Laolu Akande. According to the statement, “President Muhammadu Buhari would be represented by his deputy, Vice President Yemi Osinbajo, SAN, at tomorrow’s second term inauguration of Kenya’s President Uhuru Kenyatta in Nairobi. “Prof. 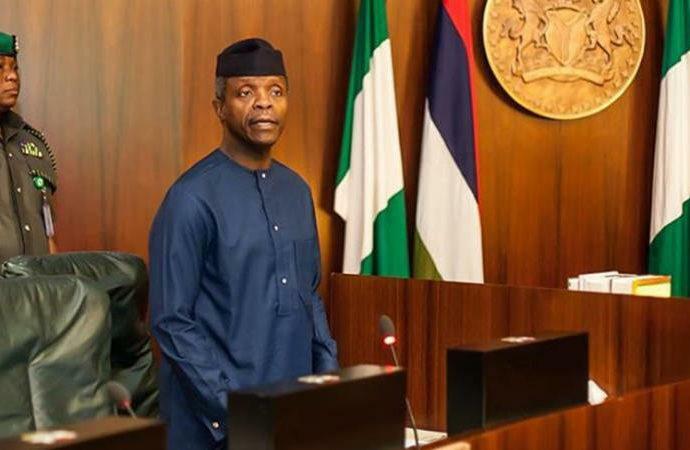 Osinbajo would be joining several other heads of State and Government from Africa and beyond who are expected at the swearing-in ceremony holding at the Kasarani Sports Complex in the country’s capital city. The Vice President would be accompanied by the Foreign Affairs Minister of State, Mrs. Khadija Bukar Abba Ibrahim and he is expected back in Abuja tomorrow afternoon.